Ford has teamed up with the London Cycling campaign to give cyclists and Large Goods Vehicles (LGV) drivers a taste of each other's life on Britain's roads as part of the "WheelSwap" virtual reality experience. 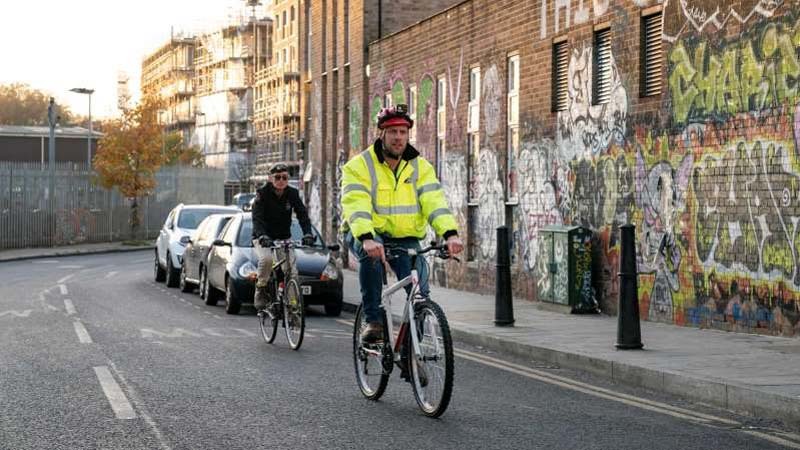 Across Britain, 16 percent of cyclist deaths are caused by LGVs, and despite 75 percent of LGV mileage being racked up away from built-up areas, they have been involved in 70 percent of cyclist fatalities in London – and that's despite LGVs accounting for only four percent of London's road miles. 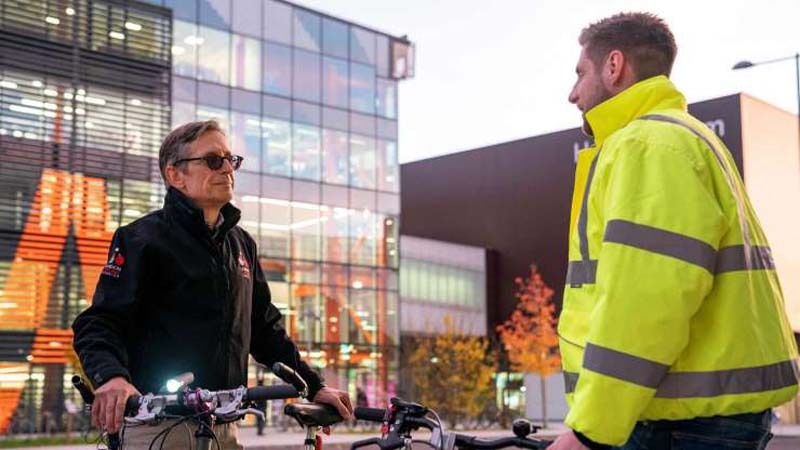 The WheelSwap initiative saw Tom Bogdanowicz, the Senior Policy and Development Officer, London Cycling Campaign (LCC), swap perspectives with three drivers and driver trainers from the Ford Transport Operations team. Both sides discussed the LGV driver's vision, where a cyclist is and is not visible, and keeping the appropriate two-meter (6.5-feet) distance when passing a cyclist. "LCC is working with TfL and industry to help new lorry designs with fewer blind spots become the norm," said Ashok Sinha, chief executive of the London Cycling Campaign (LCC). "But even then, it remains important that LGV drivers and cyclists take simple steps to put themselves in each other’s shoes and help avoid collisions. Programmes like "WheelSwap" and "Safer Urban Driving" help achieve this and we encourage more drivers and cyclists to take part in them." On the other side, the cycling element focussed on road positioning, and understanding why cyclists may be riding centrally in the road to avoid potholes or "dooring" from a parked vehicle. "Having a change of perspectives was certainly insightful," said Andrew Main, driver trainer, Ford Transport Operations team and DVSA instructor. "A greater understanding of the reasons behind cyclists’ actions is very helpful for an LGV driver as we decide on how to approach certain situations." As part of the campaign, Ford will take the messages from the initiative into schools during road safety week, and showcasing the WheelSwap VR experience and a static LGV activity. Following on from that, Ford wants to rial the "Safer Urban Driving" module – which includes a practical cycling element – as part of their Driver Certificate of Personal Competence (CPC). "Empathising with and understanding the actions of other road users is extremely important to increase road safety," said John Oldham, European Ford Transport Operations Manager. "The WheelSwap activity certainly helps to achieve that and I think we’ve taken positive lessons away from it."